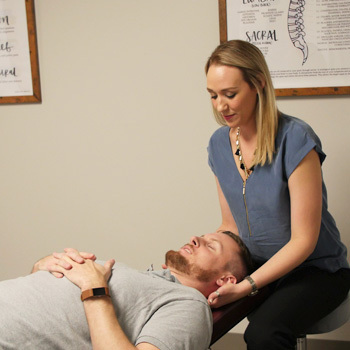 As a chiropractor, Dr. Kimber focuses on removing interference from your nervous system. In turn, your nervous system can communicate properly with the organs, glands and muscles of the body. You’ll have the ability to heal and function at your highest level with a full range of motion, just like the human body was intended to. 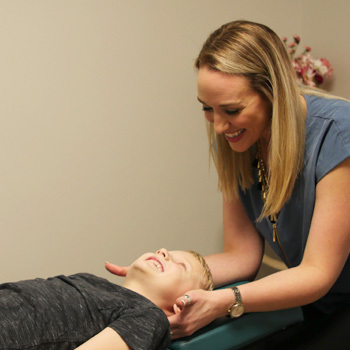 Dr. Kimber commonly prefers to treat patients with the Diversified adjusting technique. This gentle and specific, hands-on adjustment style is probably the most familiar to chiropractic patients. By lightly contacting a person’s spine and applying a comfortable, low force thrust, the doctor is able to restore proper joint range of motion, reduce discomfort and improve body function. However, at Hartland Chiropractic & Wellness, we tailor your care to your personalized needs! Dr. Kimber recognizes and embraces the idea that the chiropractic needs of each person are uniquely different. In addition to Diversified adjustments, she is able to modify techniques at any time to meet the comfort and preferences of each person in the family. 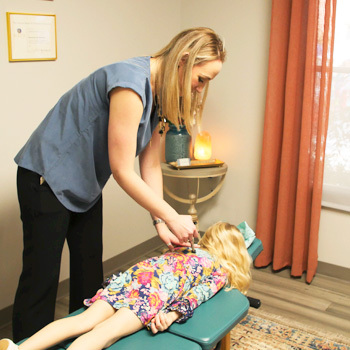 For those that may prefer a lighter touch treatment, she also offers Instrument-assisted adjustments, lumbar flexion and distraction, and Sacro-Occipital Technique (SOT), which helps to gently unwind tension in the nervous system. Other services Dr. Kimber provides include: Kinesio Taping for athletes, injuries, and pregnant women; trigger point release; and specific stretching/strengthening plans… just to name a few! 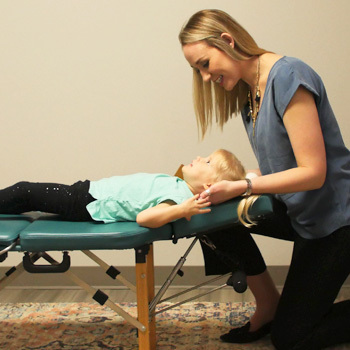 Expecting moms can benefit from the Webster Technique, which balances the sacrum and pelvis so that the baby can move into the proper position when the time comes. We have pregnancy pillows so that you can lie comfortably on your stomach and a flexion-distraction table for comfortable adjustments. The adjustment helps to restore motion and balance in the spine and surrounding muscles, reducing inflammation and improving nerve function. The adjustment is non-invasive and comfortable. It can be described as application of gentle pressure along joints and a quick release of tension. Most people feel very relaxed and energized afterwards, as if a weight has been lifted from the body. Dr. Kimber will always prioritize your comfort and welcomes your feedback at all times so she can modify her methods to your preferences. Contact Hartland Chiropractic & Wellness today to arrange your appointment and experience the benefits of chiropractic!